Improve high temperature flow control accuracy and efficiency. 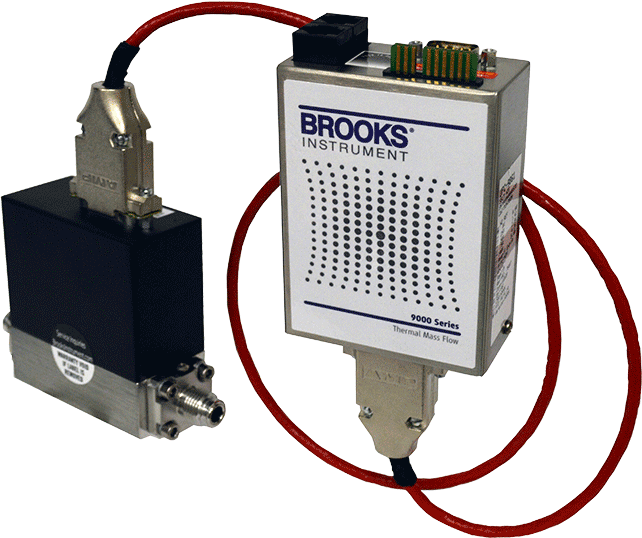 Engineered for the challenging conditions associated with high temperature delivery of condensable precursors and dopants, the 9861 Series high temperature thermal mass flow controllers and meters from Brooks Instrument feature a high purity, high leak integrity metal flow path ensuring compatibility with all process gases and vapors. The patented IsoSensor™ is a high stability flow sensor compatible with the elevated environmental temperatures found in heated gas lines and baking systems. The ultra-low drift performance of the IsoSensor™ reduces the need for frequent re-zeroing and recalibration typical in high temperature applications.